A role model encouraging children everywhere to eat their spinach! 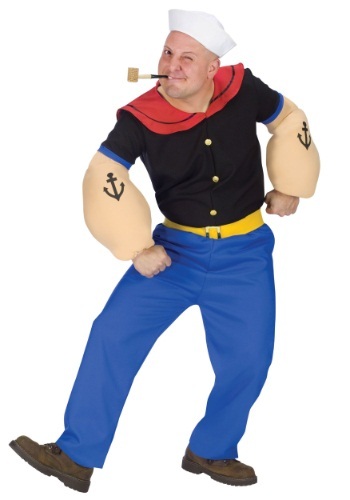 Popeye is strong to the finish sailor man who made his cartoon debut in 1929. The character Bluto was the antagonist of the series while Popeye’s love interest was Olive Oyl. In the 1980s, this animated series was made into a live action film starring actor Robin Williams. Toot, toot! 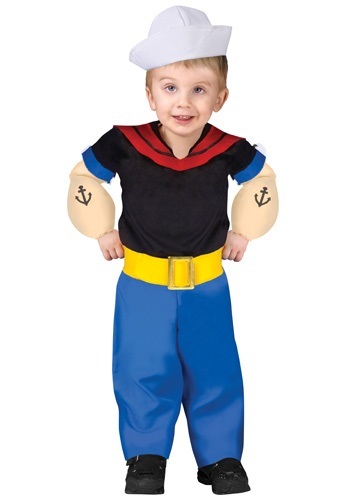 Available ins sizes for boys and men, a typical Popeye costume features a black sailor shirt with red collar, blue pants and a white sailor had. 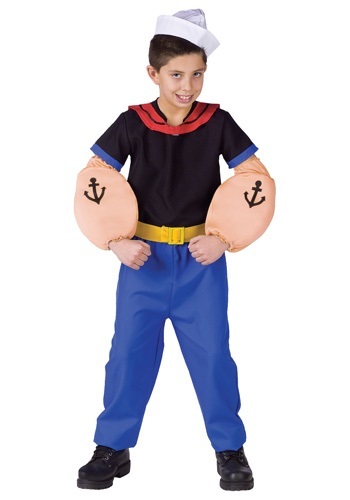 The cartoons always showed off Popeye’s over exaggerated biceps, so a Popeye costume also features foam padded muscles embellished with an anchor tattoo! 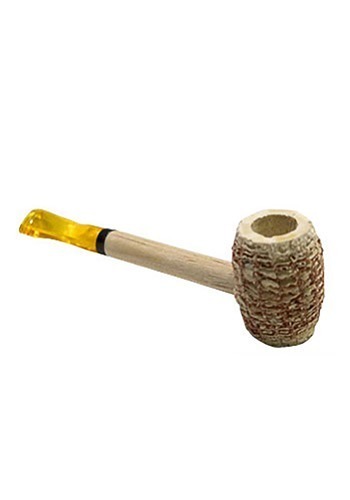 For an authentic touch, add a corn cob pipe and a can of spinach for a ship shape look. 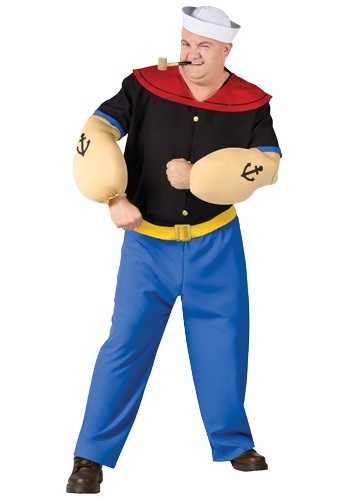 Have your best girl join you in your Popeye costume by dressing up in a spindly Olive Oyl costume for a couple’s costume that has jumped right out of a 1930s cartoon! Bring along a baby boy dressed as Olive’s nephew, Sweet Pea!